1. Shake Up Learning by Kasey Bell: I'm not only reading this I'm participating in the Book Study on Facebook I'm taking the online workshop. It's a great read giving practical advice and ideas for knocking down the four walls of your classroom and giving students a dynamic learning experience. Here's my podcast book review on it. 2. 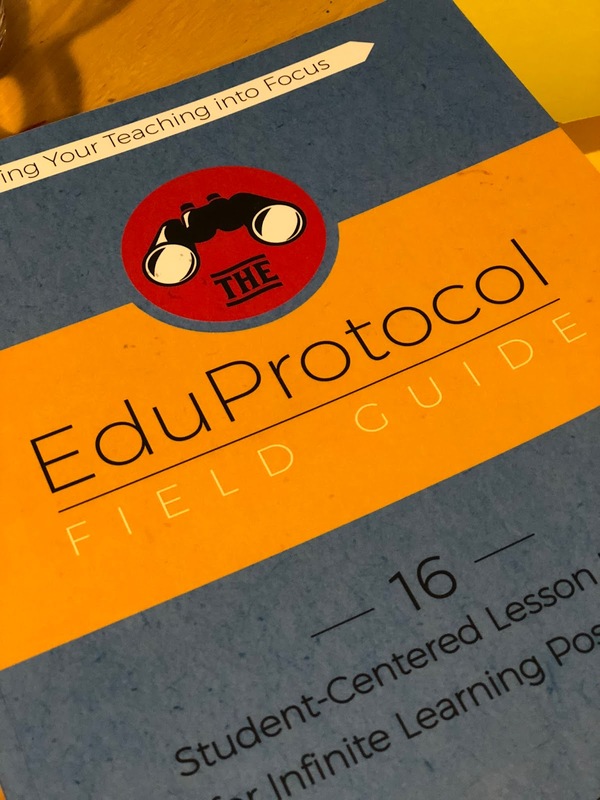 EduProtocol by Marlena Hebern and Jon Corippo: This is a must read whether your new to the profession or a 20 year veteran. They give practical Protocols for starting class in the beginning of the year and 16 Protocols for lesson design to use during the school year. They even differentiate for the Littles! Here's my podcast book review on it. 3. All 4s and 5s by Andrew Sharos: The author takes us through his experience of teaching an AP class and how he was able to improve schools by changing the culture. AP teacher or not, you will get a lot out of this in terms of learning how to change the culture of your classroom to improve student learning. Sweeping Google nation right now are the use of Hyperdocs. If you haven't gotten on this bandwagon yet you don't know what you're missing! A hyperdoc is a digital lesson plan designed using the G-Suite apps. They have transformed how I teach! I first discovered Hyperdocs when I was presenting at the MassCUE conference in Massachusetts a few years ago. A teacher raised her hand and asked if I'd heard of Hyperdocs. From there I didn't turn back! Now I incorporate Hyperdocs into every unit. My students do so well with them! And now I'm happy to bring you my ebook - Curation Station! 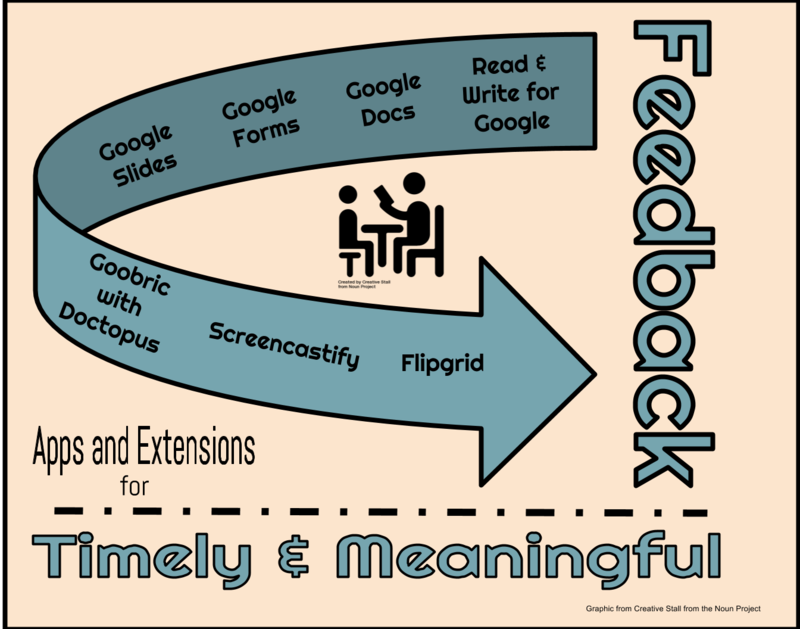 I realized early on in my Hyperdocs journey that my students wanted and needed a way to explore the content in a way that met their needs. To that end, I almost always add an EXPLORE section to my Hyperdoc design. A great way to have students explore content is through curation. Not only do they get to engage with the content, but they have to use higher level skills of evaluation, synthesis and analysis. This ebook gives you step by step instructions on how to create a curation assignment as part of a Hyperdoc design. It also provides samples of how I’ve used them in class. Using these steps you will see students immersed in content like never before while soaring to new heights of content understanding! In an earlier post I discussed how we're in the Golden Age of Podcasts. There are so many podcasts out there to help guide your professional development. But did you know they're a great resource for students as well? Below I tackle three ways you can use Podcasts in your Hyperdocs or other digital lessons. YouTube + Edpuzzle + Favorite Podcast = Greatness! Most podcasts are also posted on YouTube for easy access. You can find a podcast for students, upload it to Edpuzzle and embed questions that will enhance student engagement. Put a link to the completed Edpuzzle in your Hyperdoc and voila you've got great digital packaging. 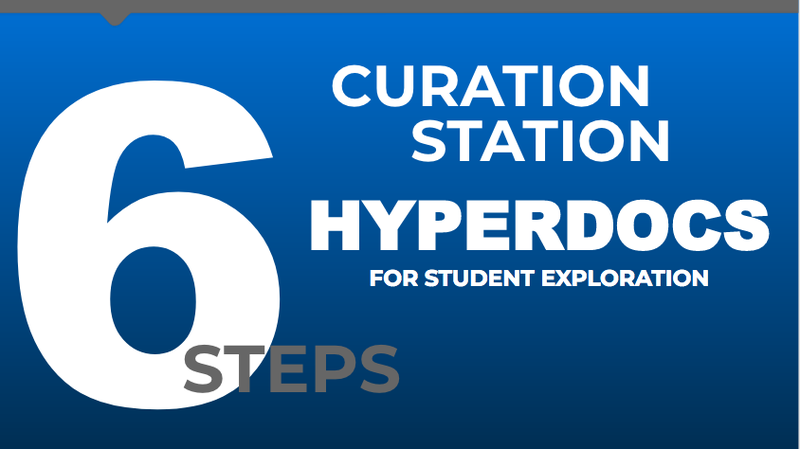 Student Curation is a great way to utilize student higher level thinking. You can always have students curate podcasts that are relevant to content. For example Malcolm Gladwell's podcast Revisionist History can be paired with 20th century American History Hyperdoc. Students can listen, make connects, and write about significance. Student create podcasts are some of the best content I've gotten from students in recent years. They love sharing their thoughts and new knowledge to a larger audience. Websites like Vocaroo and Spotify work so well for student recordings and uploads. You can embed a podcast into such digital packages as Nearpod and Deck.toys to up the student engagement and application. How are you using podcasts? From preK to twelfth grade students should be provided with feedback that will help them achieve the skills and content that will help them thrive. Here are some to get you started! 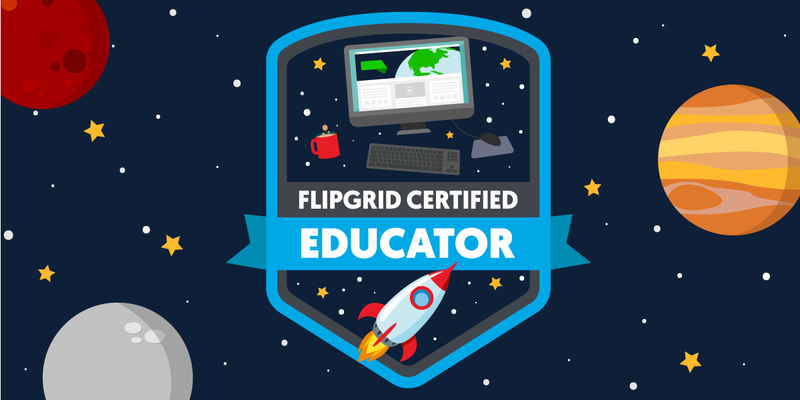 Flipgrid: Yes I got it! #FlipgridFever! It's a revolutionary digital discussion tool used by preK-PhD educators. If you're unfamiliar with it please check out Flipgrid.com. You can post a question or topic and students can comment in a short video. As the teacher you can then comment, providing quick and meaningful feedback. I have a free course for teachers to help get you started. Great tool! Read and Write for Google: This is a Chrome extension that helps teachers and students by allowing both to use voice to type technology and a variety of other tools. It allows teachers to highlight comments and give students meaningful feedback. To add the extension click here. Google Docs (comment and suggestion feature): Who doesn't love Docs for it's ability to allow students (and teachers!) to collaborate, share, create...but did you know that it allows for you to comment in the margins, notifying students immediately via email? Teachers can also use suggestion mode within the text of student writing. See here for a how-to video. CheckMark extension: A great Chrome extension that when highlighting text, several standard writing issues in a keyboard. Click and it makes a comment automatically. Click here for the add-on. Google Forms: The possibilities with Forms are endless! I use it as a means for formative assessment. Giving students the opportunity to demonstrate their knowledge or skills. I use the Go-To Section feature. Based on what students answer Forms directs them to a section for either review or enrichment activities. Here's a sample of a Form I used for students to review for the AP Psych exam. Google Slides: It's not your grandmother's presentation software! Slides allows teachers to create an adventure for students as they review material. I created a build your own adventure review game based on Sylvia Duckworth's template. It brought students through an adventure as they answered questions. As they complete an adventure they earned a badge for their game board. Great fun! Goobric with Doctopus add-on for Sheets: This is one amazing add-on! It allows teachers to insert a rubric on the set of papers, customizing it for each student. Complete with the ability to assign point values and comments, this add-on is very comprehensive. Here's a demo! Screencastify: This is another Chrome extension allowing students and teachers to create screen casts. 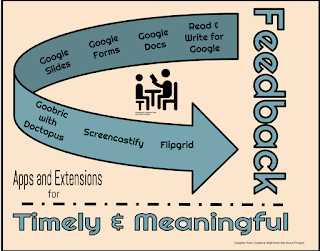 I use it to flip my instruction but I've also used it to provide students with personalized feedback. This is particularly helpful when demonstrating a skill for a student. Here's a demo. Click here to get the Screencastify extension. I'm almost one term into on my new course - Psychology of Human Development. So far the experience has been exhilarating! One of the most exciting parts of the course is the collaboration between my class and our third grade partner class led by the fabulous Mary Ann Johnson at Cedar Elementary. We meet both face to face and online for collaboration, communication and creation. A great tool we use is Flipgrid. Flipgrid is a video discussion platform used by teachers preK to PhD. 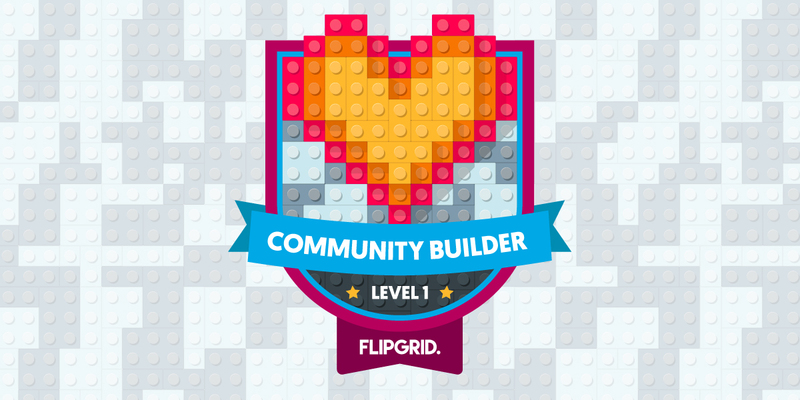 If you haven't caught #FlipgridFever yet then you definitely need to come down with it! ;) Here's a recent blogpost and my free course for teachers on getting started. Create a question, share with your students and start transforming class discussion and presentations today! 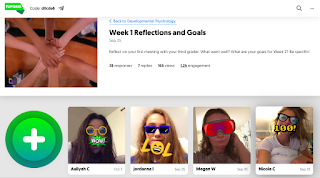 Mary Ann and I use Flipgrid for our students to collaborate about their projects (this term it's writing a storybook), to communicate their plans and reflections and to spark discussions on such things as moral dilemmas and favorite childhood books. The partnership between our classes has been amazing. Flipgrid and other digital tools has made the collaboration incredibly rewarding. What tools do you use to communicate and collaborate? Voice, choice, and relevancy are sweeping the nation right now! At the school I teach at we're making significant changes to our curriculum in order to give our students a voice, choices, and relevancy in their education. Revising curriculum is a great way to pinpoint areas of strength and needed improvements at any school. But with voice, choice, and relevancy on my brain I got to thinking....how can we provide this for teachers? How can we provide voice, choices, and relevancy for teachers so that their work feels meaningful and exciting? We want that for our students but we really should begin with the teachers. Engaging them is the key to engaging students! 1. Frequent opportunities for departmental based deep discussions on content and pedagogy. I can't remember the last I had relevant content based professional development.... perhaps 2009?? Most time in department meetings has been spent on "administrivia": timelines for evaluation, book rebinds and scheduling observations. More time together to discuss how we teach history would provide great relevancy to my work as my fellow department members are the experts! 2. Whole faculty discussions on what is best for students - In my early days of teaching, I worked with a great group of veteran teachers who had been hired in the early days of union activism. Consequently, debate and advocacy were at the forefront of every faculty meeting. After school, great debates ensued over block scheduling, student accountability, and administrative leadership ....and then everyone, including the leadership would go out for drinks in that evening. There is nothing wrong with vigorous, contentious debate...it's the stuff democracy is made of! 3. One mark of a great educational institution is how much academic freedom there is for teachers. Do they have the choice of what to teach and how to teach it? Can teachers take risks? Try new things? Are they supported in these endeavors by their leaders? I have always had great academic freedom. It's been a blessing to work in an environment where I could teach what and how I want to. Every endeavor, successful or otherwise, has been supported by my administrators (and I've worked for many!). So yes - engaging students is vital to our work in creating global citizens. But the lifeline to our students is the teachers in front of them. It's been four weeks since I launched my new Developmental Psychology course. 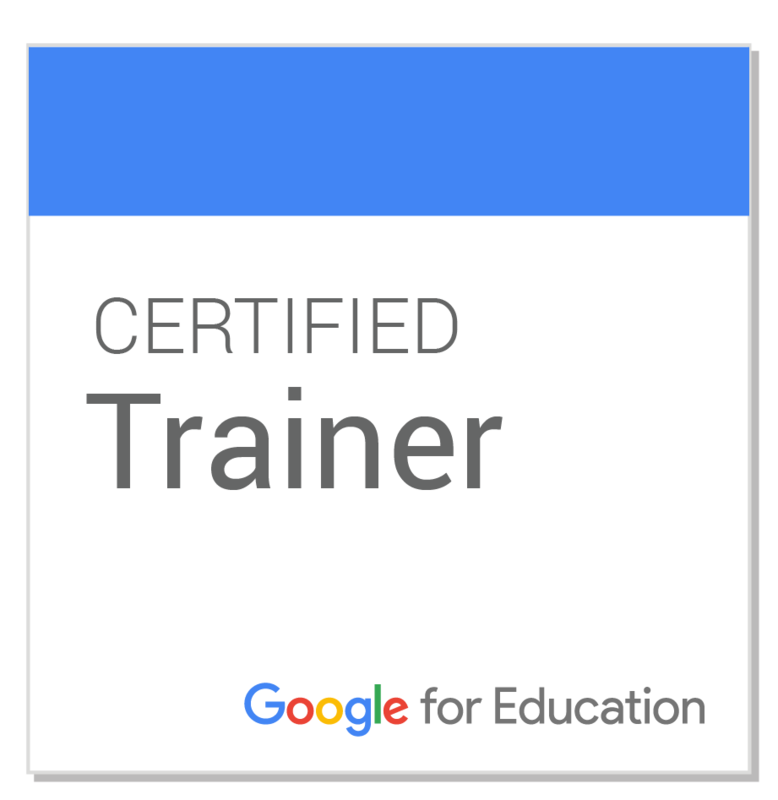 In my last post, I discussed some good and some areas of growth about this innovative, exciting opportunity for my students and me. Connections with our third-grade friends - I've partnered with a friend and colleague, Mary Ann Johnson, who's a third-grade teacher in our district. My class walks over to the school and shares time with hers. What's been so innovative about this is the collaboration, communication, and the creation that's occurred between these groups. They're working to write a children's storybook. My students are currently studying early and middle childhood and her class is studying creative writing. Together, they are writing and illustrating original stories based on their learning. Both groups of students have brought different skills and content to the table and are creating something brand new! I did not anticipate such synergy! Exhilarating! The collaboration takes several forms - Face to face meetings, Flipgrid, shared Google files (Docs and Drawings) and old-fashioned texting between Mary Ann and myself! There is a constant flow of discussion and ideas.We have all benefited from the designs that emerged as we continue to work towards creating for an authentic audience. Why is innovation so important? Because we must provide multiple opportunities for students to work together, find and solve problems, and create for authentic audiences. How can we expect them to do this outside of school if we don't give them opportunities inside of school?